Chopard art piece. 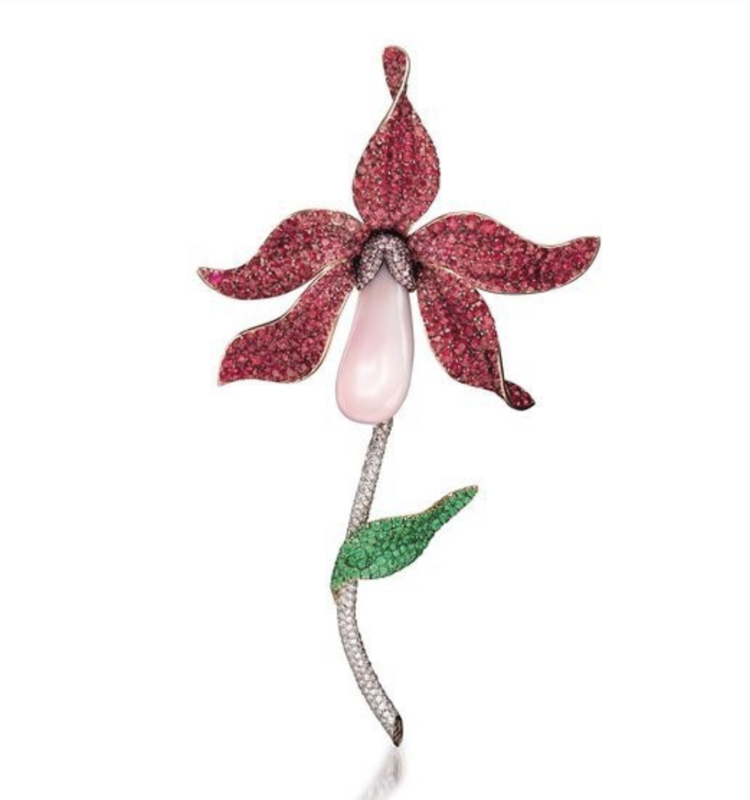 Modelled as an orchid, the pistil set with an elongated pear-shaped conch pearl measuring 140 x 80 x 20mm, capped by pavé-set pink diamonds, the petals and leaf pavé-set with pink spinels and tsavorite garnets respectively, to white and brown diamond pavé-set stem. Diamonds and pink diamonds together weighing approximately 6.00 carats and 0.70 carats respectively. Pink spinels and tsavorites together weighing approximately 28.10 carats and 2.30 carats. Mounted in 18 carat yellow gold and white gold.